This post is a bit of an update on this post by Romain Decker from last year. The VMware writing community continues pumping out great content as today saw the release of 2 new NSX whitepapers/ebooks. These short (and sometime not so short), focused ebooks are a great way of getting the hang of several fundamental areas of NSX, such as Micro-Segmentation, Automation and process changes that you may need to come to grips with when introducing NSX. This material is premium, high-quality, technically deep, and I am very impressed VMware gives this information out for free. This is an accelerating trend as even books such as the excellent excellent Host Resources Deep Dive are eventually given out completely free of charge. in helping customers solve the many challenges they face when deploying applications across multiple data centers/sites. Furthermore, these traditional multi-site solutions have been network-only focused, failing to provide a holistic solution covering all aspects of the application including security and automation. VMware NSX solves these traditional challenges by decoupling the network services and intelligence from the physical infrastructure by leveraging a network overlay and providing a complete network, security, and automation platform. VMware NSX provides a complete holistic multi-site solution for customers. NSX offers many options for multi-site data center connectivity to allow workload mobility or disaster recovery across sites, and, these solutions are discussed and compared in this book. However, the main focus of this book is on a feature called Cross-vCenter NSX (Cross-VC NSX). Cross-VC NSX allows for consistent networking and security across multiple sites and across multiple vCenter domains. 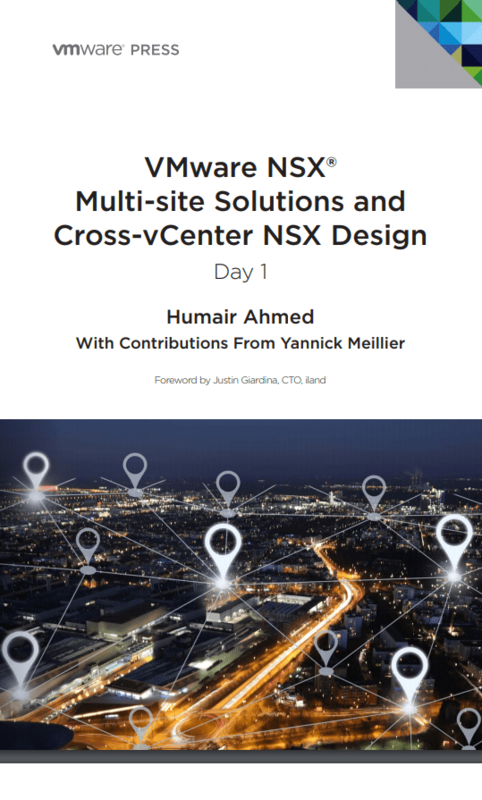 In this book we walk through what multi-site is and its traditional challenges, discuss some of the short-comings of traditional multisite solutions, compare different multi-site solutions provided by NSX, discuss the advantages of NSX and how it can be used for different use cases, and go into detail on Cross-VC NSX for multi-site solutions. With Cross-VC NSX, we start from the basics of understanding what it is and then dig deeper into Cross-VC NSX architecture, features, and design. The goal of this book is to provide a comprehensive overview of why NSX has become so popular for multi-site deployments, and also provide a good understanding of Cross-VC NSX for you to get started designing and deployingyour own successful multi-site solutions with NSX. This book explores how VMware NSX® delivers the power of automation. 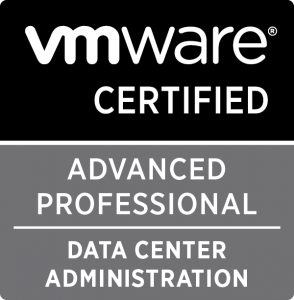 VMware NSX Automation Fundamentals brings guidance and knowledge on designing the automation for the software defined data center (SDDC), unlocking NSX’s full potential to provide the flexibility and agility needed by enterprises today. VMware NSX improves the network and security posture of the SDDC by fundamentally changing the approach for networking and security. Through NSX’s open API model, organizations can select the automation solution best aligned to their operational practices. understanding networking and security automation challenges in today’s data centers. It demonstrates the fundamental nature of NSX in the data center architecture while detailing integrated solutions for both VMware and third party offerings (e.g., VMware vRealize® Automation™, OpenStack, Puppet, Chef, PowerNSX) that assist in creating networking and security components on-demand.